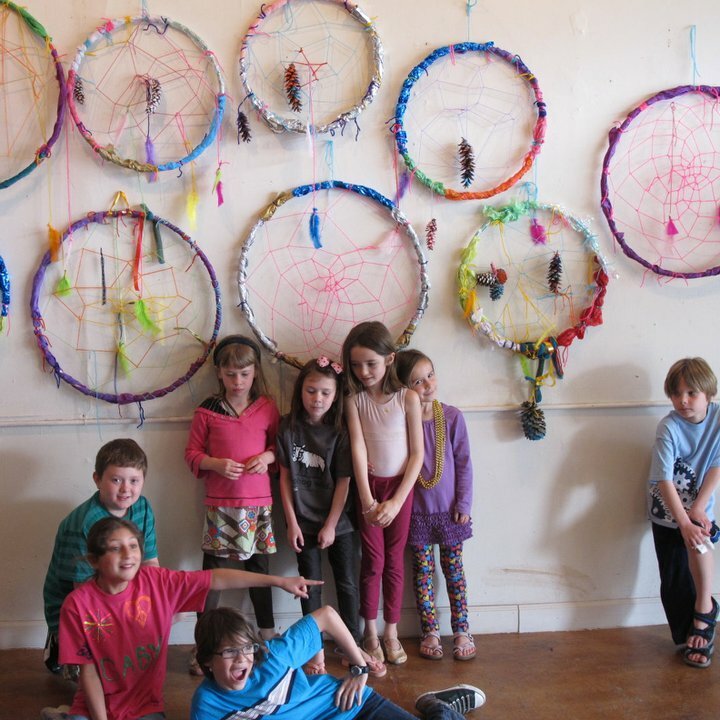 Hula hoops were transformed into dream catchers. 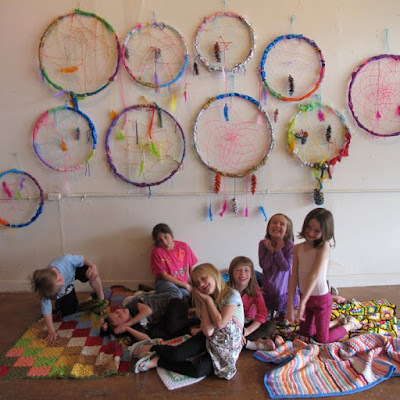 Students wrapped hoops with various papers and yarns. 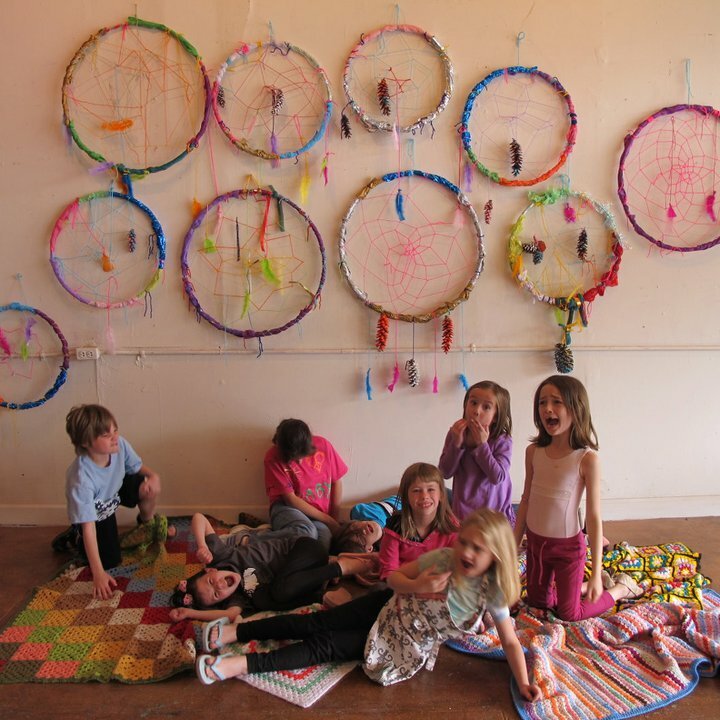 Knots were tied and webs were woven. After our afternoon break, we painted pine cones collected by friends and family. 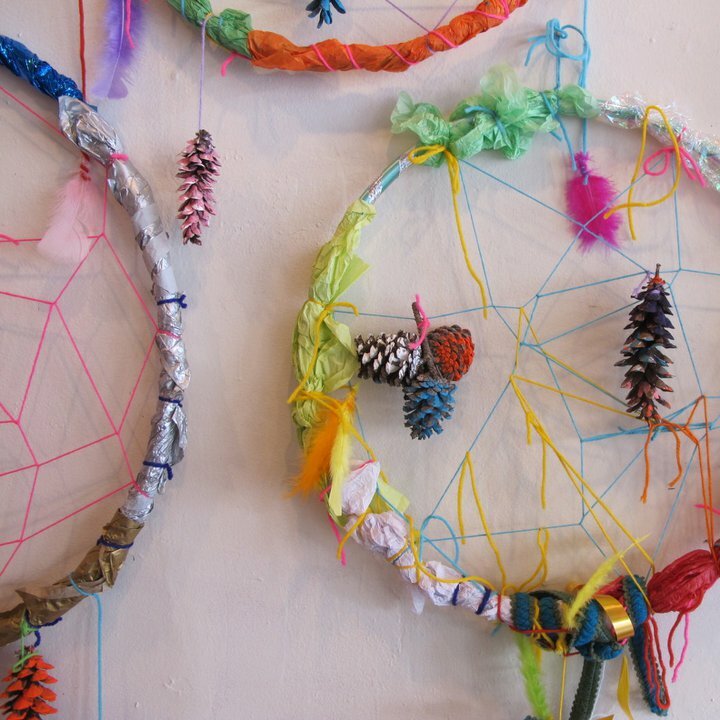 Feathers were attached to allow the good dreams to climb into our sleepy heads. 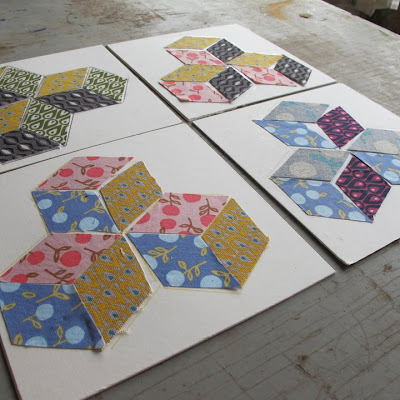 Students explored the tradition of quilt blocks and color value. Tumbling block and star collages were constructed with fabrics. 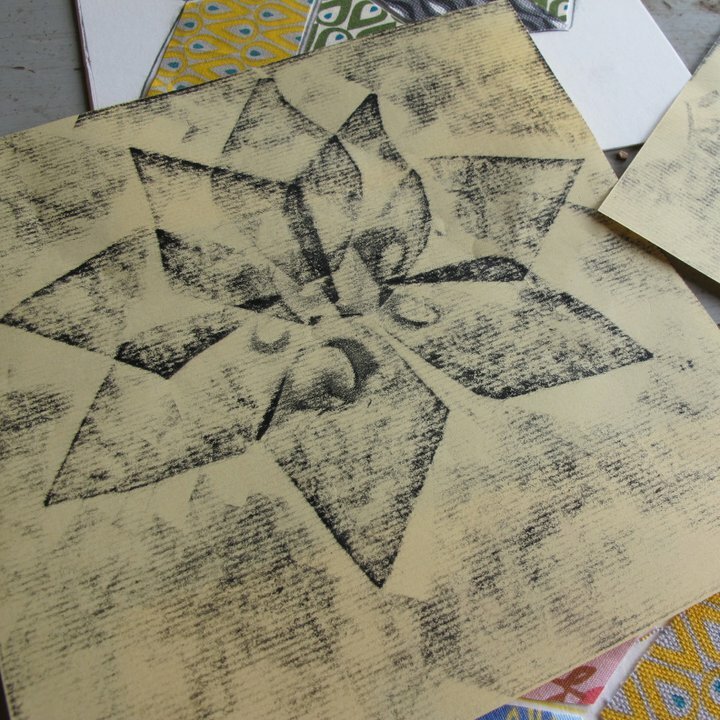 Charcoal rubbings were transferred to textured paper from their quilt block collages.